Instagram have made so many updates during the last few months, you’d be forgiven for letting a few slip through the cracks. Here’s your definitive guide to the updates that will make a huge difference to both your business and personal profiles – and a few to be wary of. Ever since Instagram rolled this feature out across the U.S. towards the end of last year, UK social media specialists have been waiting with bated breath to see when we’d be blessed with the update. Finally, customers in 9 countries can now ‘tap to view products’ in the images of business accounts. This feature works by linking to the brand’s Facebook page, utilising the ‘Shop’. 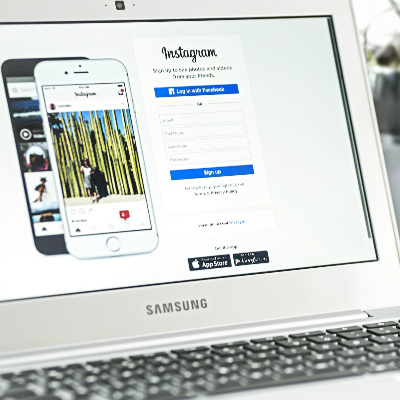 To start taking advantage of this, head to your business Facebook page and make sure your Instagram page is connected in ‘Settings’, then ensure that the ‘Shop’ tab is enabled on your page. You can then start adding products. When you come to post your next Instagram image, you should see a new button under ‘Tag People’, reading ‘Tag Products’. Simply click this, then tag to your heart’s content. For what seems like since time immemorial, we have been using programmes like Later, Planoly, Hootsuite and Buffer to help house our Instagram posts and schedule a reminder for us to post them at any hour. Now, these platforms can post on your behalf – meaning no more pop ups outside office hours. Wave goodbye to Repost for Instagram (sorry Repost for Instagram) as the time is nigh to share other’s posts within your story. Still currently in its testing phase, once available to all the feature will work in a very similar manner to a ‘Retweet’ or the ‘Share’ function on Facebook. Other updates of interest include adding clickable hashtags and profile links to bios and the ability to follow hashtags. With rumoured features on the horizon including ‘Cinemagraph’ mode and the ability to download all your data a la Twitter, it’s certainly an exciting time for Instagram and its users, so watch this space! If you'd like to have a chat with Olivia about Bloxham PR supporting your social media strategy, please email olivia@bloxhampr.com or call 01452 346 466.